Will the post-synodal apostolic exhortation just signed by Pope Bergoglio - but not yet made public - represent a revolution for the Church? Will a “new church” be founded on the word of progressive Catholics like Pope Bergoglio and Walter Kasper instead of on the Good News of Christ? Indeed, Cardinal Kasper, Joseph Ratzinger’s great opponent, has announced a genuine “revolution”. Bergoglio used Kasper in February 2014 at the consistory to launch the sensational news of communion for the divorced and remarried. It’s not that Bergoglio cares about the divorced who want to receive communion but they have been used as a battering ram to shake Catholic doctrine on the sacraments. Vatican Insider also ran headlines on the document quoting Kasper as saying: “It will be revolutionary”. If Bergoglio’s plan to overturn the Catholic Church is evident, it is also true that he knows he has to move shrewdly and with calculated timing so as not to come out of the matter in question as a ‘heretic pope’. Canon law would however dictate exactly that and with all that would follow. Bergoglio in fact loves to portray himself thus: “I can say I am rather shrewd, I know how to get what I want.” And this explains what we read yesterday in yet another Repubblica preview by Alberto Melloni. From his article we learn – which was predictable – that in the exhortation there won’t be a formal change to doctrine because the Pope can in no way say explicitly that the Gospel and the two-thousand-year-old Magisterium of the Church on the indissolubility of marriage and access to the Eucharist should be binned. He would delegitimize himself. So what does the exhortation say according to Melloni? 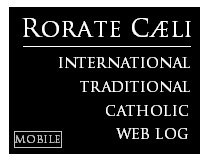 Everything will be legitimized under the form of the – apparently innocuous - pastoral care and the call for a ‘fuller participation’ of the divorced and remarried within the life of the Church. Melloni begins with the (fantastical) assumption that ‘almost all parish priests’ already give communion to the divorced and remarried and so it would ‘only’ be a legitimizing of a practise already in use but without giving it a theological base. In ‘mercy’ of course. In reality with this practise a non Catholic theology of the Eucharist, marriage and confession would be legitimized without saying so explicitly and so without putting heretical claims in black and white. He has done it with Motu Proprio ‘nullifying marriage’. Maybe he will also do it giving bishops the power to legitimize access to the Eucharist to some divorced and remarried couples without the need to live “as brother and sister” which is what the Church has asked for until now. In this way Pope Bergoglio would delegate to the bishops the authorization (without in reality having the power to do so) of a new sacramental practise. This would – tacitly - legitimize and even topple into second (or third) marriages and shake the very foundations of the Eucharist and confession. And mostly it would dispense of the need to observe the commandments, a power that no one on earth has. It would be difficult to imagine that the Church would accept this. Firstly because it is not at all true that today it is normal for the divorced and remarried to receive communion: everyone knows that Sacred Scripture (therefore the Church) does not allow it unless the couple lives celibately together. The bishops in the past who have contravened this have committed a grave non compliance (and we know that Cardinal Bergoglio in Buenos Aires was one of these). Secondly, it is not possible to separate doctrine and practise because if a practise is legitimized that is contrary to Catholic thinking - such as in the administering of the sacraments - then automatically one affirms a heterodox doctrine. It is true that strange theories concerning the sacraments have already been explicitly formulated by Bergoglio without being formalized in the Magisterium. On February 11, speaking to the Roman clergy, Bergoglio came out with a singularly strange idea regarding the sacrament of confession in which even if one doesn’t confess certain sins, the penitent should anyway be absolved because ‘he has spoken simply with the gesture of coming” to confession. 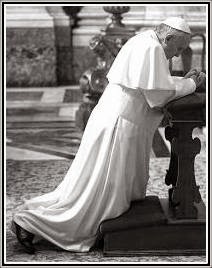 But Bergoglio went even further and claimed that the confessor shouldn’t demand of the penitent the intention of sinning no more (as the church calls for) because again – according to him – the gesture of going to confession is enough. Perhaps this is the ‘new‘ Bergoglio brand of confession and absolution for the divorced and remarried, but how can one think that these are valid sacraments? If what has been postulated by Melloni is in fact what Bergoglio has signed on for, it would be exactly what Cardinal Kasper proposed in his report to the consistory in February 2014. Only that in the consistory, Kapser’s line, which was given full and enthusiastic support by Bergoglio, was vetoed by 75 percent of the cardinals. It was then vetoed again in the two synods of 2014 and 2015. Should a document such as this come out, dramatic scenarios will open up for the Church. Erroneously, one believes that the Pope can change the revealed truth of the Church but it is not his to possess; he remains only the servant.